Cancer kills more people in low- and middle-income countries than HIV/AIDS, tuberculosis and malaria combined. 80% of global cancer deaths occur in LMICs but only 5% of total global spending on cancer care is expended in these regions. 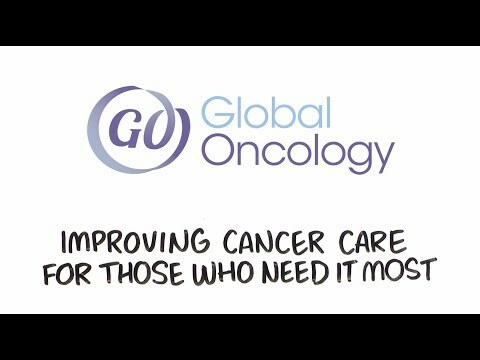 Global Oncology’s mission is to bring the best in cancer care to underserved patients around the world. We collaborate across geographic, professional and academic borders to improve cancer care, research and education. GO's diverse programs span the areas of educating underserved patient populations, reducing obstacles to diagnosis and treatment, developing technologies to promote knowledge exchange, and building public support of the global cancer problem. An image-based, culturally-appropriate patient education tool designed to improve the cancer treatment experience for populations in resource-poor regions. A program that pairs cancer patients with healthcare professionals in an effort to navigate and overcome the hurdles to accessing care. equitable delivery of cancer care. GO's collaborations in Nigeria are aimed at growing cancer awareness, building cancer-care capacity, and alleviating unnecessary deaths and suffering caused by the disease.